Earlier today we met some friends and went for a lovely leisurely hike. The trail was dusty so naturally when we got home, it was bathtime. 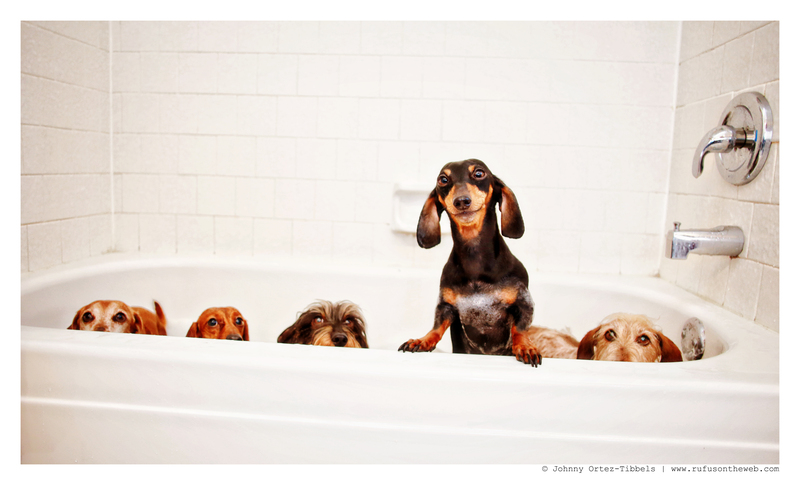 Everyone loves a clean wiener. Enjoy the photos friends and here’s to hoping you and yours had an equally wonderful day. 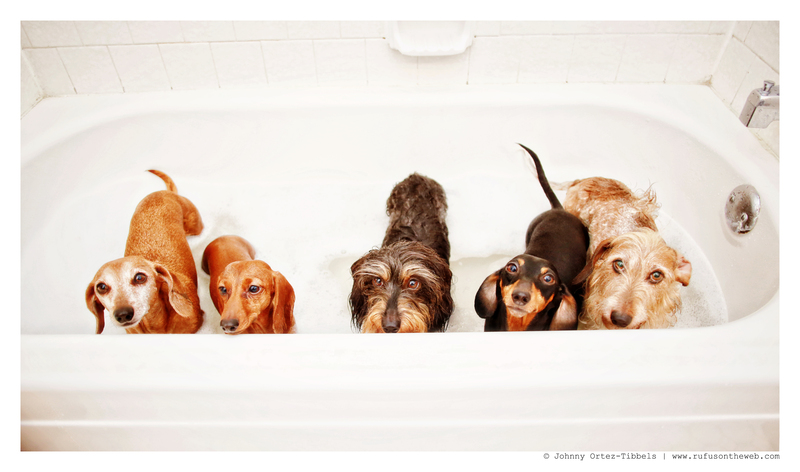 This entry was posted in Emily, Lily, Rufus, Rufus' Friends and tagged #ADachshundsLife #HappyHounds, #Bathtime, #CleanWieners, #dachshund, #red dachshund, #smooth dachshund, #WienerDogs #HotDogs, #wirehair dachshund, doxies. Bookmark the permalink. 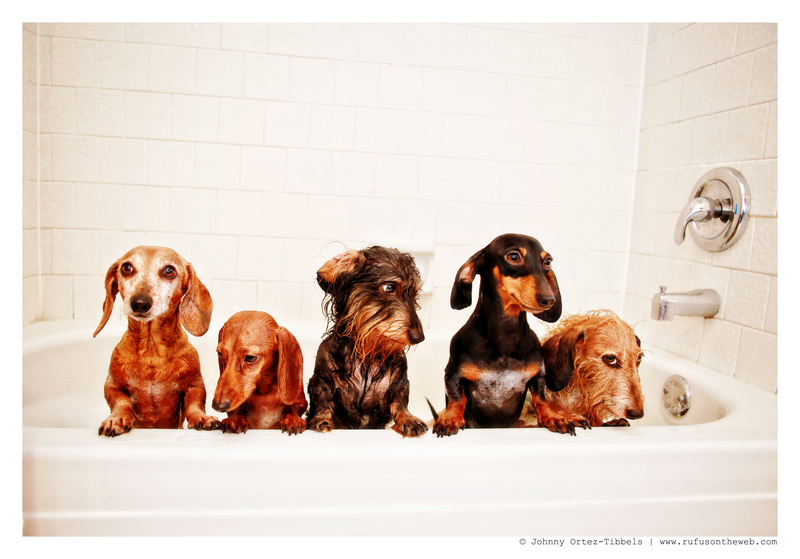 oh my aching back bathing the five of them….so cute!